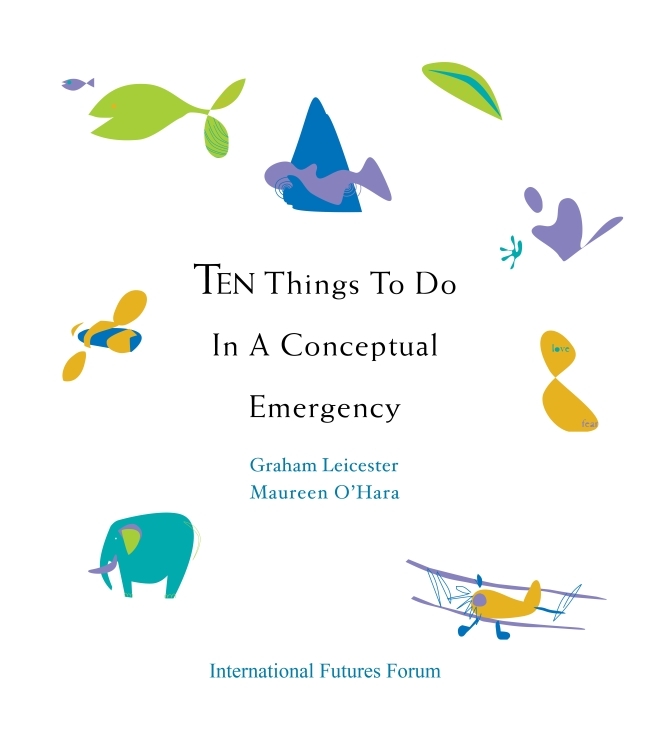 If the idea of a conceptual emergency seemed original when it was introduced in the first edition of this booklet, it now appears inescapable. Brought on by the global credit crunch and the collapse or effective nationalisation of so many familiar institutions (HBOS, Lehman Brothers, Woolworths...), we face a fresh crisis of faith, as the instability of our previous perceptions of identity, morality, cultural coherence and social position is revealed. In a world where we are losing our collective bearings, we urgently need leadership inspired by fresh and insightful thinking. This little book provides a remarkable amount of both. The authors are writing under the banner of the International Futures Forum (IFF), an innovative and forward-thinking group that has inspired many communities to respond powerfully to severe social and economic challenges. Ten Things records IFF's learning over seven years on how to take more effective and responsible action in a world we do not understand and cannot control. This second edition has been expanded and updated with seven inspirational case studies from around the world, generated by IFF's work. Insightful yet playful, compact, readable and touchingly illustrated, this is a gem of a book. It will appeal to managers and organisational and political leaders but also to environmental campaigners, social psychologists and educationalists. Anyone seeking to change the way communities and organisations think and behave in relation to the future.